I am constantly trying new things and have done so since I was a child when I sewed my own clothes, trained one of my childhood dogs, knitted, crocheted and cooked. I made candles, did leatherwork, roller skated, ice skated (even some fancy jumps), rode and showed horses, played chess, and did debate. I even played the clarinet and piano! It hasn’t been any slower as an adult. I’ve learned to bake bread, preserve food, grow a garden and needlepoint. I’ve tried Pilates and yoga and learned to lift weights. I’ve used all kinds of computers, software and hardware. I did Toastmasters for several years to improve my speaking abilities. And the list goes on. One of these days I need to make a record of all the things I’ve tried in my life. There is a point to this though – it’s fun to try different things. It’s maddening to get out of my comfort zone, be a beginner, and have a learning curve. But some things are so very enjoyable and stay with me for a long time. Other things are short lived because in the end, I either wasn’t that good or I didn’t have the passion to really care after a while. The garden is a good example of this – I’m not that good at it and after three years, I don’t really care if I improve my technique either. It takes pluck to try new things though. It’s so slow at first – everything is awkward, mistakes get made, and it takes way too long to do simple tasks. I see this with my staff – the first easy tax return of the season takes longer than the most complicated one that they will do later. Eventually though, a new skill gets more comfortable. It’s faster and easier, eventually becoming pleasant and having positive results. And with more time and practice, you can do complicated things. New ideas are easier to manage and execute. You’re becoming more of an expert and can see results for it. I relax at night with a game called Kakuro. It’s sort of similar to Suduko, but you are adding the numbers 1 to 9 up to a sum, which can go as high as 45 (that would be all the numbers were used in a column or row). When I started, a very small one took me forever and I had to keep thinking through the possible combinations. Now I can work a fairly hard one in 30 minutes or less. Just by looking at it, I can get about half of it filled in almost immediately after I start. It was the same way with baking bread. I’ve had my share of failures, of having bricks come out of the oven. I rarely have that anymore. I can judge by how the dough feels and how it’s rising when to move on to the next step. So try new things! Have the pluck to fail or to say, I tried it but I didn’t like it. At least now you know you don’t like it. You might also find a new hobby or passion out there for the trying. There are so many interesting things in our world, at work and in our personal lives – set a goal to try at least one new thing this fall and get out of your comfort zone. Here I am years ago, being handed a trophy at a horse show. Horses were okay, but never a passion. I quit riding when I started high school. 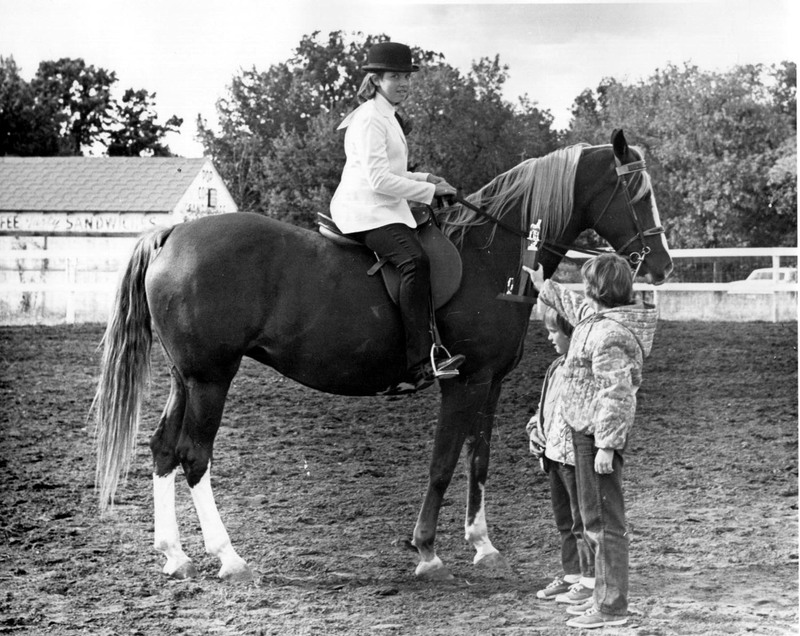 Horses were a deep passion for my mother and she had horses for many years. Word for tomorrow – BREW. If you prefer to work ahead, see the list for the week under “A Word A Day”. I’m with you. I’ve tried a lot of things: Jack of all trades, master of known. But it keeps life interesting. The great thing about being a jack of all trades is you can do so much more than those who only know one thing. And you know how to leverage that knowledge to quickly become an expert on most anything.